After establishing an eCommerce store, the very first thing a store owner look in the app section is customer support tool to revert back customer inquiry faster and used to boost your overall revenue. When it comes to serving better customer support experience in less time, there are many things to take into consideration. One of the most important parts of the puzzle is which customer support application to make support process more easier. There are 80+ Shopify Helpdesk apps are available on Shopify marketplace and delivering instant seamless support through Shopify store. Confused about which application should I choose? Don’t worry!! If you’re looking for higher quality customer support application that resolves customer inquiry quickly, just look out few most popular widely used apps that might help to get engage more potential customer. Zendesk is a top-rated customer support application which is widely used by the largest company. Zendesk is on everyone’s lips nowadays, you can solve customer service tickets faster by having access to relevant customer data. It allows customer interactions across phone, chat, email, social media, and any other channel: this helps to enhance better customer experience and save time by automating overall internal business flow. To use this app subscribers need to take a subscription to the Zendesk Support Team Plan or above. However, Zendesk is too complex and tricky to start for small and medium size business. Zendesk has been around for decades, but Re: amaze is new. Re: amaze, provides a powerful dashboard for customer support, sales, and marketing, is not the ticket based type of tool that does everything you can think of and a lot of things you don’t want, either. Reamaze has multichannel configuration like Zendesk and offering deeply integration with other application that make the life of customers and customer service agents easier. Ceratainly, is a live chat oriented software developed for SMBs and enterprises, making it available in real-time. Customer Guru, differ from other app and fit for smaller companies wanting to build their customer service around customer feedback survey tool. This app is working excellent with shopify POS and useful for eCommerce stores, allows you to embed reviews and ratings on your webstore and can enhance the overall customer support experience. It also allows integration with Facebook Ads and Google Adwords functionality, and it also includes Free trial to explore the feature. You might have known this before, one with a Shopify store gets powerful integration with Shopify and Shopify Plus like ReCharge, Shipstation, Messenger, Aircall, LoyaltyLion, and etc. Gorgias recently rolled out as a Shopify helpdesk is a new piece of customer support, user-friendly customer support software, reduce ticket first response time, available for both small and large business. Gorgias makes it easy to see order details for a customer on the ticket portal with an efficient tool. However, very expensive especially for newer businesses and startups. Whether for small or enterprise business, you might want to include powerful automate operation, systemized reports, or 3rd party integration in the helpdesk system. If so, Gorgias and rest mentioned app is not the only way to go. 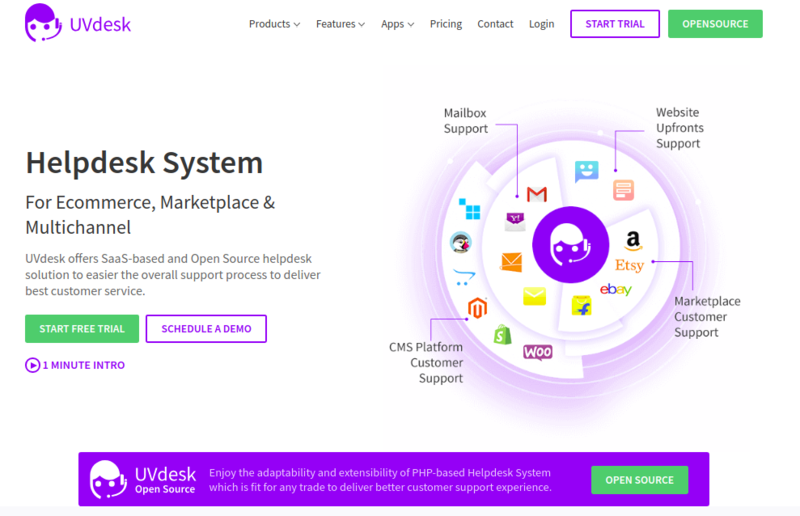 Indeed, a helpdesk software named UVdesk is like a traditional support system specially designed for shopify store, offering you outstanding features along with omnichannel support plus great system to approach your customer from multiple shopify store. UVdesk provides more personalized automate support for internal and external process and integration with 50+ apps: when customer inquires about the process then UVdesk sends automated notification email to both customer and agents with ticket link and email message. 500+ shopify companies has registered with UVdesk and on website one can visit the success story of their shopify clients which shows customer love and support experience towards UVdesk helpdesk ticket system. After the 30 days free trial period, you can purchase the standard enterprise plan for $36/month for two agents. 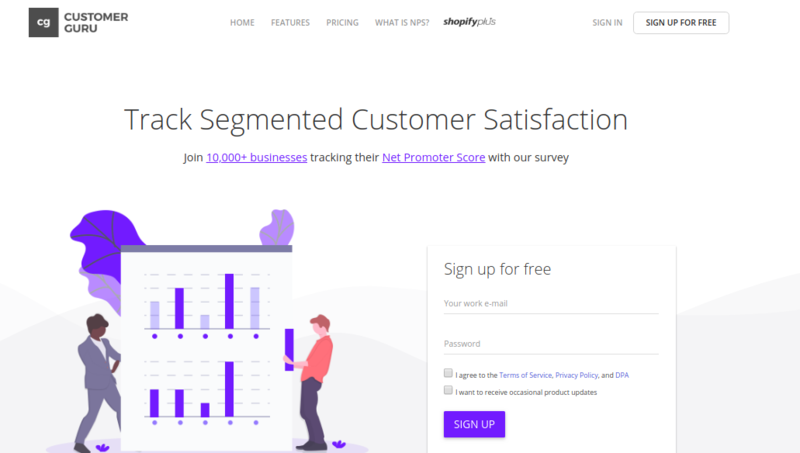 Now, I hope at the end of this article shopify merchant’s got the great list of the customer support app should they choose and may use of various customer retention app in order to boost your overall revenue. If you are running small and medium-sized businesses and wish to grab standard enterprise helpdesk in a cheaper price then i would recommend you to go with UVdesk eCommerce Helpdesk that make your support system more powerful and engaging. Do let us know if you have further inquiry, you can email us support@uvdesk.com or can raise a ticket by using this link.